Comment: Home inspection before we buy house. Comment: This is a condominium complex. We have four garage buildings and a community room that we need the roofs inspected to move forward with any possible replacement/repairs. We also have a gymnasium with rubber sheet roofing that we would like inspected as well if possible. Inspection would be preferred to be done evenings or weekends. Comment: Attic insulation? Loose soffit and Facia ? Door Frames? Porch Railing ? Down spouts? Roof age / condition? stairway from 1st floor to 2nd ? window conditions? age ? Basement walls condition? Butler Home Inspectors are rated 4.84 out of 5 based on 660 reviews of 22 pros. 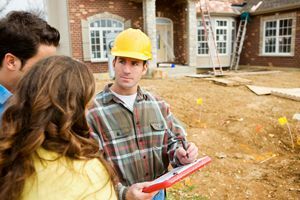 Not Looking for Home Inspection Contractors in Butler, WI?